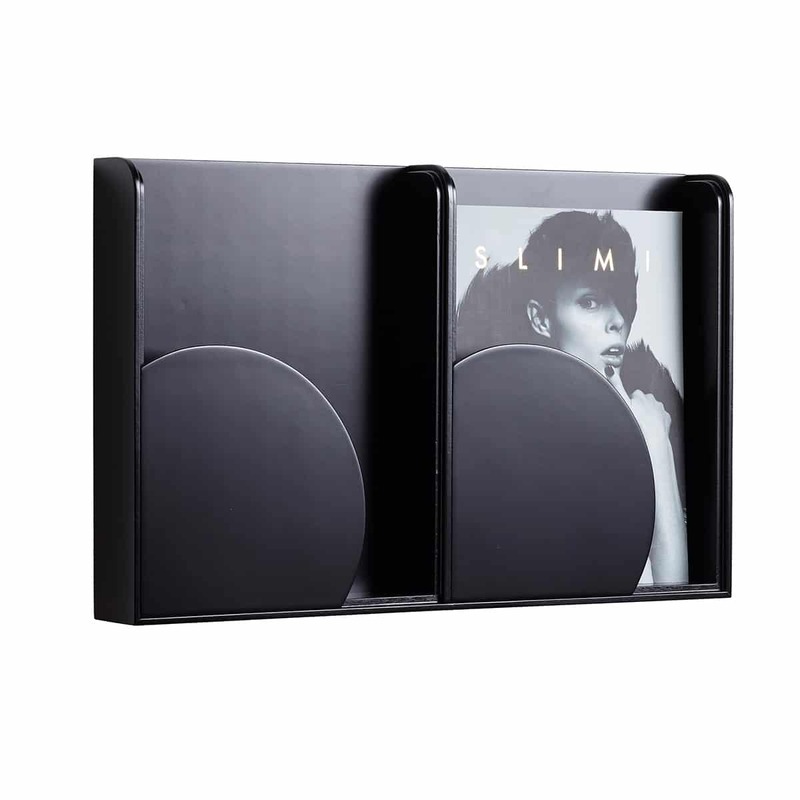 Rounded forms and straight lines contrast and combine in harmony in Arc magazine rack. 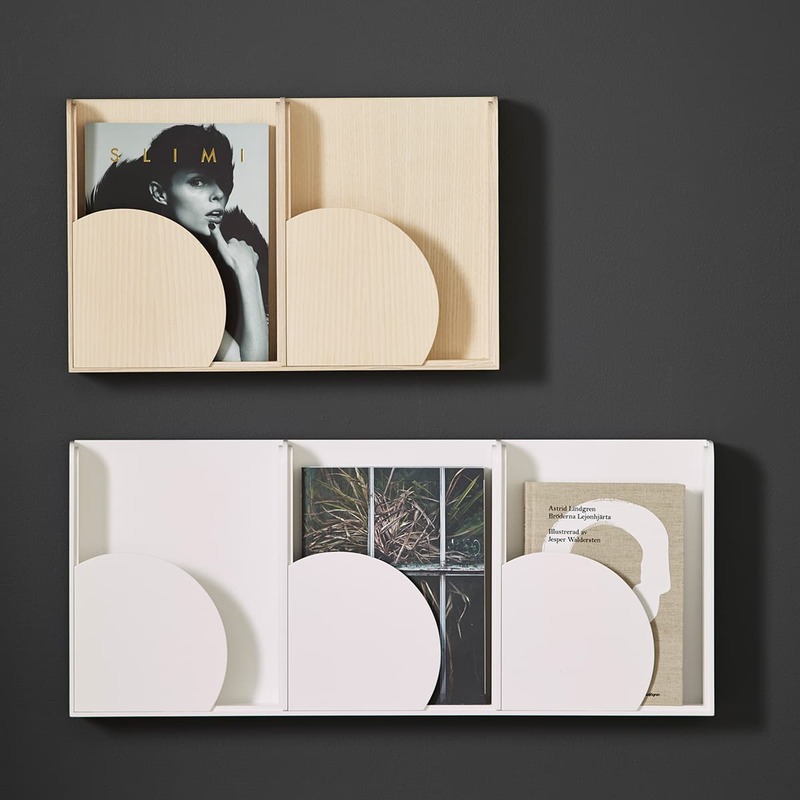 The wooden disc-shaped front keeps printed matter securely in place and easy to access. 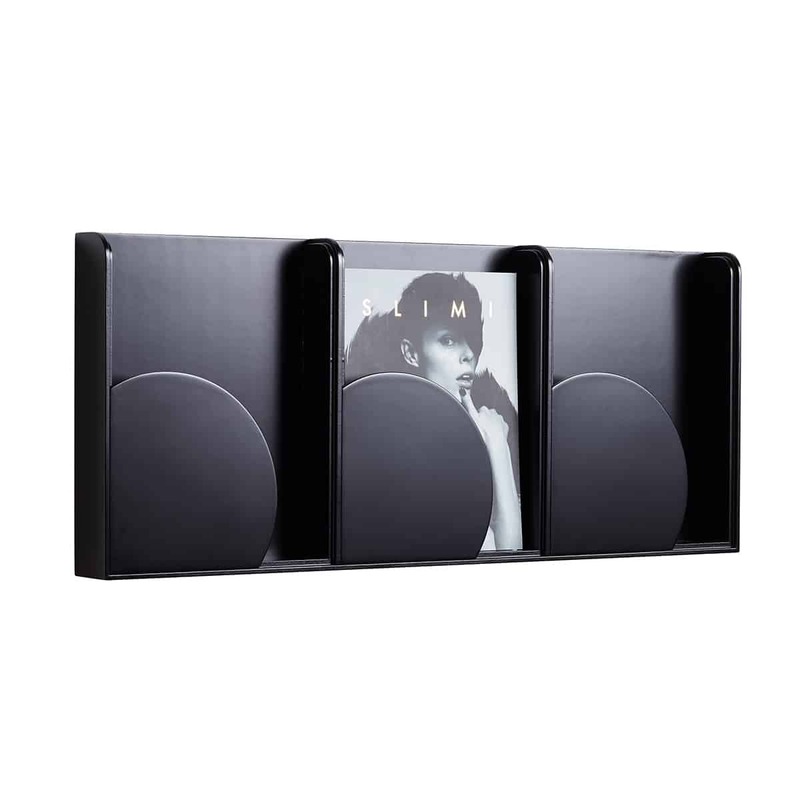 Arc is ideal for displaying magazines, brochures and information leaflets, or as a mail rack when two or more are placed side by side. 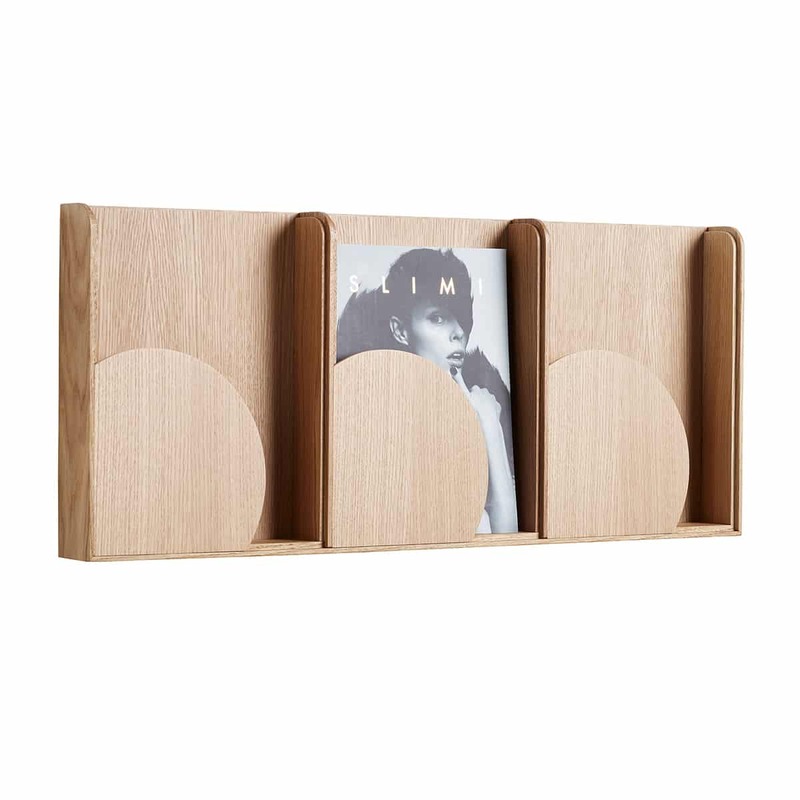 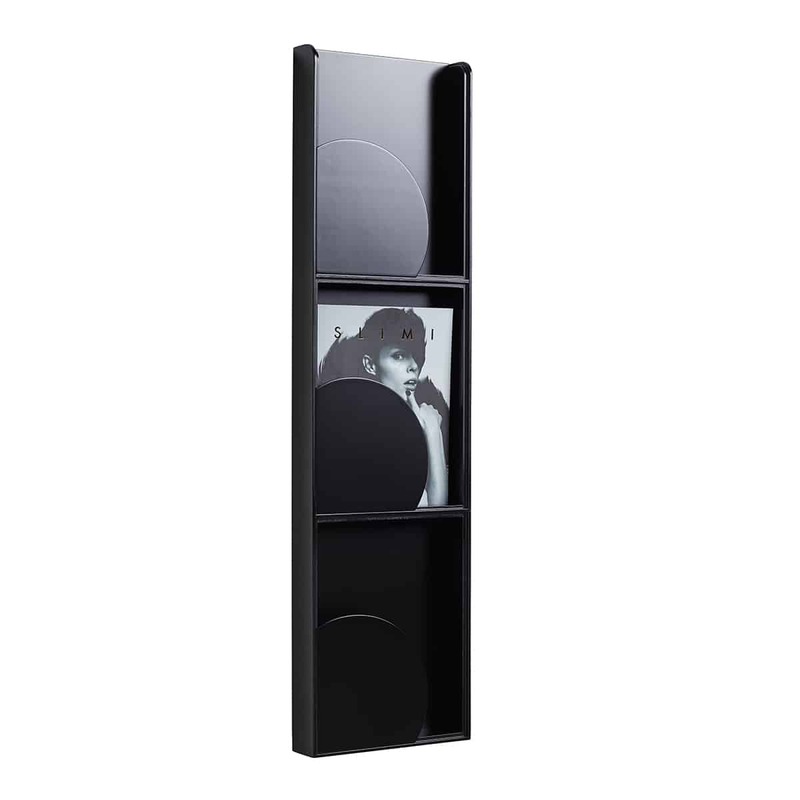 Sanna has previously designed the storage and room divider Sign (2009) for Karl Andersson & Söner.